PROMOCHECKS is a chequebook with information about different promo-places such as shops, catering establishments, various entertainments and services. In all the listed places you receive discounts, promotional extras and special treatment. Upon visiting these places, you present the respective promo-cheque and receive the discount specified on it. 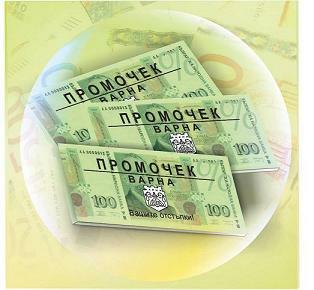 With PROMOCHECKS you save up to 500 BGN- only for 20 BGN, as one book can be used more than one person. Our wish is to keep you informed, to facilitate your choice, and make sure that you receive special treatment and prices and enjoy yourselves.